Raleigh, N.C. (July 17, 2015) — Members of the Wake County Bar Association (WCBA) honored Judge Sidney S. Eagles, Jr. (’61, JD ’64) earlier this week to commemorate 50 years of service. Eagles is a past president of the WCBA and Tenth Judicial District Bar (2006) as well as a recipient of the Branch Professionalism Award (2008), the Association’s most prestigious award. He has also served as an American Bar Association (ABA) Delegate for the Tenth Judicial District Bar, along with the other entities that he has represented with the ABA. Judge Sidney S. Eagles Jr.
Judge Eagles joined Smith Moore Leatherwood in 2004 and focuses his practice on appellate litigation, mediation and dispute resolution. 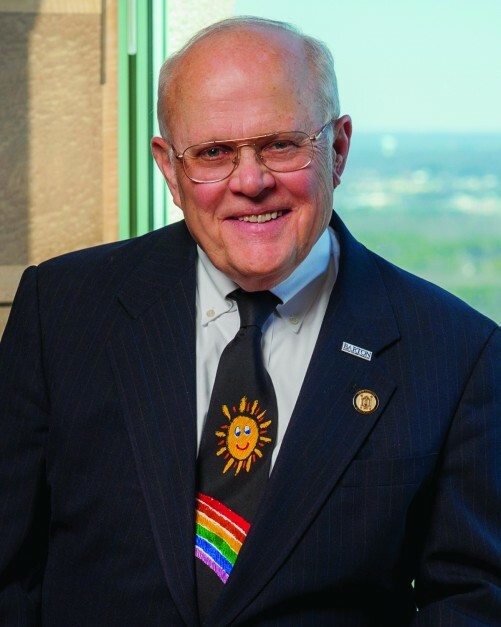 Since receiving his license in 1964, he has worked on more than sixty appellate cases in the state appellate courts and has argued cases in both the North Carolina Court of Appeals and the North Carolina Supreme Court. From 1976 to 1980, he was Counsel to the Speaker of the North Carolina House. From 1983 to 2004, he served as Chief Judge of the North Carolina Court of Appeals where he wrote more than 900 appellate opinions and presided as a judge on approximately 5,000 appellate cases. Prior to serving on the bench, Judge Eagles served nine years as Special Deputy Attorney General and appeared before the 4th Circuit U.S. Court of Appeals and the U.S. Supreme Court. Judge Eagles received his bachelor’s degree (1961) from Wake Forest University and his juris doctor (1964) from the Wake Forest University School of Law. He is a certified mediator by the North Carolina Dispute Resolution Commission and an arbitrator with the American Arbitration Association. For more than 30 years, he taught as an adjunct professor at Campbell University’s School of Law. A life member of the American Law Institute, he is a Fellow of the American Academy of Appellate Layers and a member of the National Academy of Distinguished Neutrals. Among his many recognitions, Judge Eagles was honored with the James Iredell Award for his service to legal education by the Phi Alpha Delta legal fraternity chapter at Campbell University. 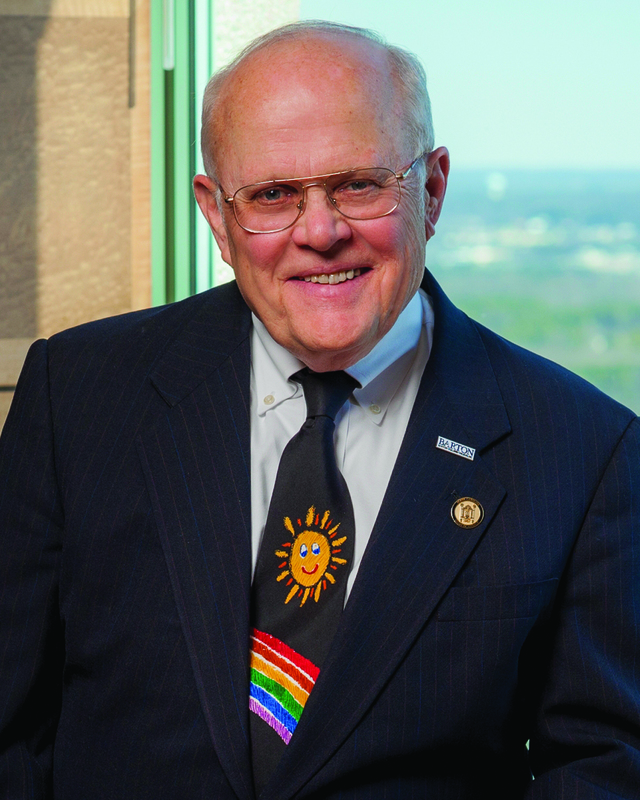 Wake Forest University School of Law named him as the school’s 1982 Alumnus of the Year. He was also named the Kiwanian of the Year in 1988, and in 2013, he was elected a Fellow of the American Academy of Appellate Lawyers. Smith Moore Leatherwood LLP partners with its clients to produce creative, cost-effective legal solutions. With a reputation for excellence and responsive client service, the firm has more than 170 attorneys located in seven offices across North Carolina, South Carolina and Georgia. The firm’s core services are litigation, corporate, health care, real estate, and labor and employment law. Industry teams include trucking and transportation, education, government, nonprofit, financial services, manufacturing, technology, chemical/pharmaceutical and construction. For more information about the firm and its attorneys, visit www.smithmoorelaw.com.